When you enter the European Centre for Crafts, you don't know where to look. It's the visitors who say it! 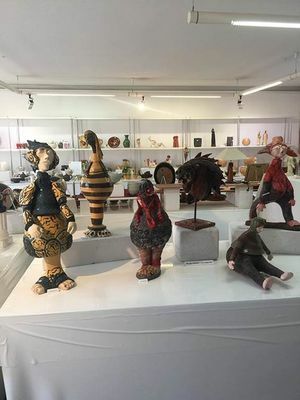 In front of you are exhibited, with elegance, unique objects, creations in ceramics, wood, stone, glass, metal, textile, etc.... More than 5,000 unique objects of exceptional quality, created by a hundred European craftsmen and rigorously selected. Something to delight the eyes! Also sells first-class gourmet products. There is no review about Centre Européen Des Métiers D'art (Cema), be the first to leave one !